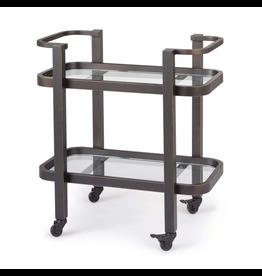 The Mixer Table Set has a clean simple design aesthetic of early 20th-century which gave way to Modernist ideas of understated elegance. Place each piece next to a couch or club chair to create the ultimate resting spot for a magazine and drink. 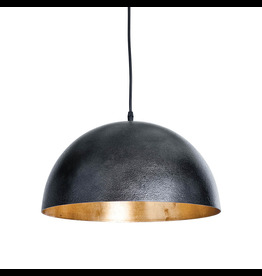 A simple dome shade brings sleek minimalism to the mix. 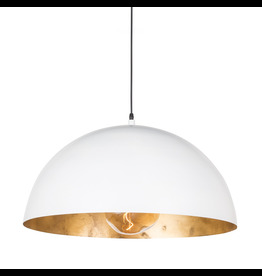 Featuring a gold-leafed finish on the shade’s interior, this gives the room a warm glow and a sophisticated pop of contrast. 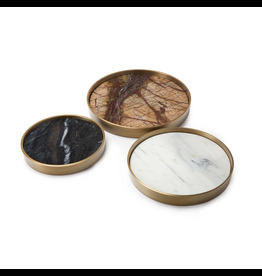 Mixer tray set combines three shades of marble for a sophisticated trio. 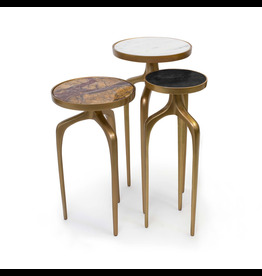 A natural brass frame cradles each tray, but unique veining on each means no two are the same. 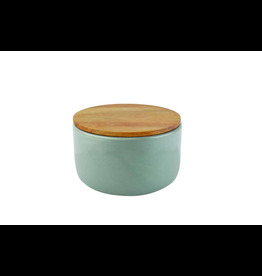 Use these in a bedroom or master bath as a fashion-forward accent. At home in a variety of decors, the Echelon sofa hugger table pairs white marble slab with a natural brass iron frame. 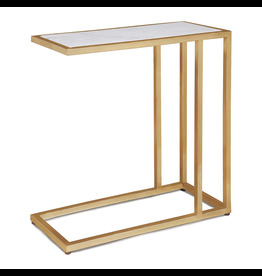 Sized to sit within perfect reach, the table is designed to hold your favorite cocktail beside an armchair, a sofa or a settee. 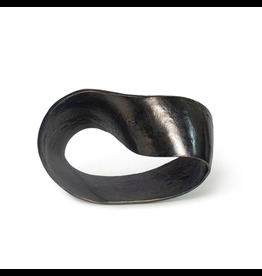 An infinity knot crafted out of aluminum, cast to capture a textured surface this object is an industrial work of art. Place on a bookshelf in a living room for a sculptural statement. 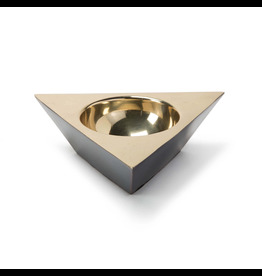 This metal triangular dish plays on geometric silhouettes for a casually elegant statement with depth and dimension. Its two-tone metallic finish adds to its contemporary appeal. 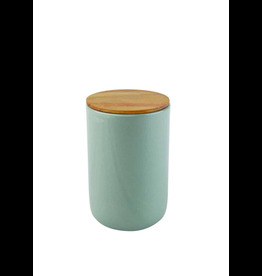 Place on a side table in your living room as a standalone accessory. Jackfruit, anyone? 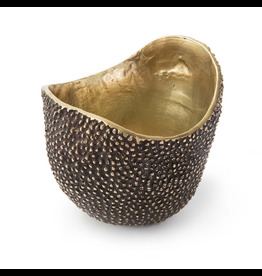 Inspired by this tropical fruit, Jack bowl, which combines a gold leaf interior and bronze exterior, is a textural feast for the eyes. 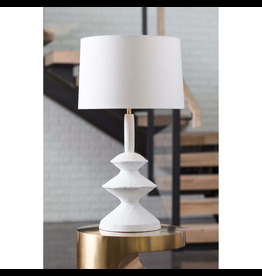 Place this artful piece on a side table or bookshelf in a living room to showcase its funky feel. 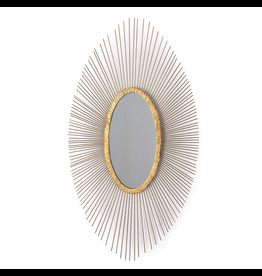 With a blend of antique gold leaf and glass the Sedona oval mirror creates a glamorous, sculptural design that reflects light and color throughout the home. 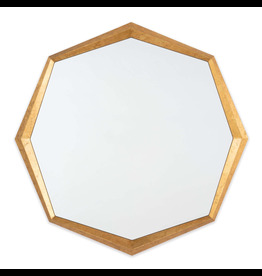 This mirror has the look and feel of a rare original. 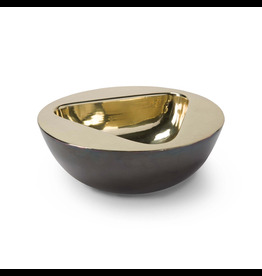 This round metal dish plays on geometric silhouettes for a casually elegant statement with depth and dimension. Its two-tone metallic finish adds to its contemporary appeal. 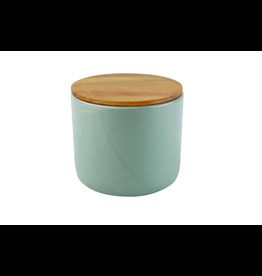 Place on a side table in your living room as a standalone accessory. 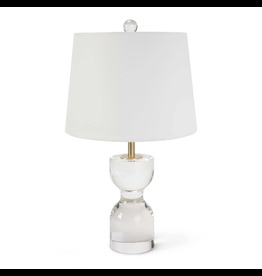 With it's reflective crystal body and matching finial the Joan Table lamp is a modern classic. 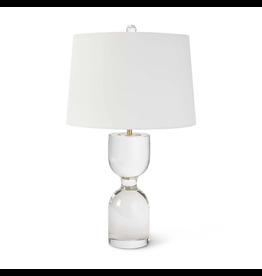 This solid crystal silhouette and natural brass accents will add a bit of glamour to your home. 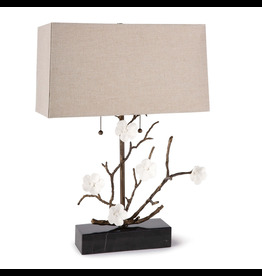 Cast brass branches, white porcelain flowers, and oil rubbed bronze finish, gives the Cherise a perfect blend of balance and proportion. The unexpected interplay of materials highlight the essence and simplicity of its organic design. 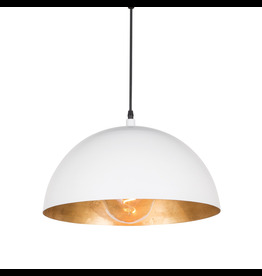 The Jonah sconce provides a warm sophisticated glow while the raw broken edge also gives it an organic element. 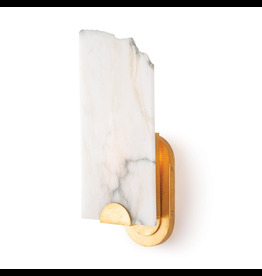 This one of a kind sconce will create a diffused glow in a hallway or bathroom. Each piece is unique with individual veining and cracked edge. 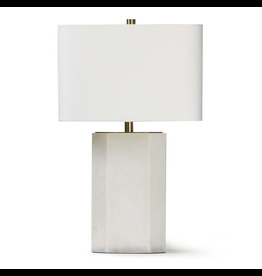 Inspired by a paper maché sculpture, this versatile lamp is at home in a variety of spaces. Complex curves, paired with a matte white finish gives this table a unique appearance. Slight imperfections were left in, adding beauty and originality. 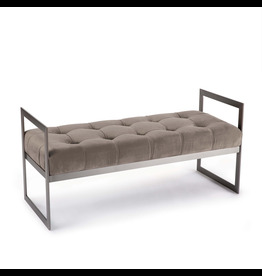 With its gunmetal steel frame and tufted urbane bronze seat, our Jolie takes its cues from classic mid-century designs. 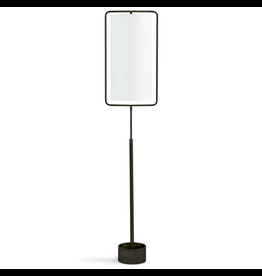 Its streamlined silhouette makes it ideal at the foot of a bed or in an entryway.